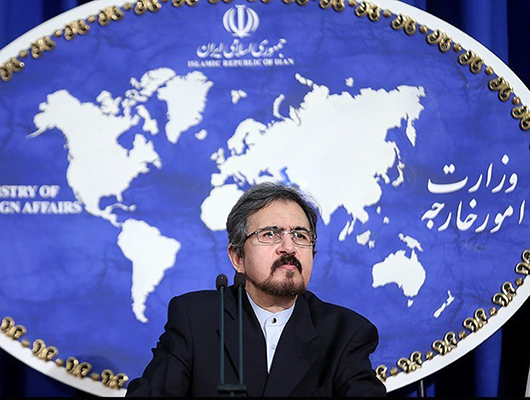 Iranian Foreign Ministry Spokesman Bahram Qassemi strongly condemned recent terrorist attacks in neighboring Pakistan, which left at least 19 people dead and dozens of others wounded. In a statement on Saturday, the Iranian spokesman offered his condolences to the Pakistani government and people, particularly the bereaved families of victims of “the bitter incident” in the Pakistani city of Mardan. Now, the Islamic Republic of Iran believes more than ever that the crackdown on extremism and terrorism is possible only through international cooperation, he noted. Qassemi further emphasized that without paying attention to the root causes of extremism and fighting against those spreading violence and Takfiri thoughts, the world cannot overcome the major problem of terrorism. At least 14 people were killed and more than 50 wounded when a suicide bomber attacked a court in the Pakistani city of Mardan on Friday. The bomber shot his way through the main gate leading to the district court before throwing a grenade and detonating his suicide vest among the morning crowds, senior police official Ejaz Khan told reporters. Officials said the bomber had up to eight kilograms of explosives packed in his vest. The dead included lawyers and police. No group has yet claimed responsibility for the attack, which comes three weeks after a massive suicide blast killed scores of lawyers in the southwestern Pakistani city of Quetta, in Baluchistan. Friday’s blast came as security forces killed four suicide bombers who were trying to attack a Christian colony near the Khyber Pakhtunkhwa provincial capital of Peshawar, 60 kilometers to the west of Mardan. One resident was also killed in the attack, the country’s military said. Five people, two of them security personnel, were injured in the attack.